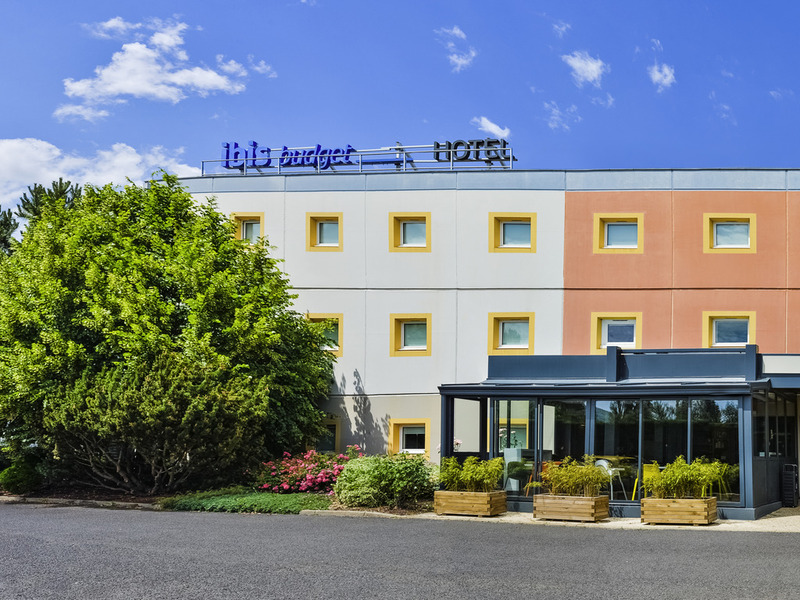 This economy hotel will seduce you with its location in the heart of a lively and diverse business park, just 5 minutes' from the Zénith d'Auvergne and 10 minutes' from Clermont Ferrand city center. Immediate access to the A75/71 and the A89 highways. The fully renovated ibis budget Clermont Ferrand Sud Aubiere hotel is ideal for smart budget stays and welcomes you 24/7. Free enclosed car park. 547 yds. (500 m): A71/A75 highway giving fast access to Paris-Bordeaux-Toulouse-Lyons-Montpellier, bus stop f or Clermont Ferrand. 2 min: Zone de la Pardieu, ice skating rink. 5 min: Grande Halle d'Auvergne, Zénith, Marcel Michelin, Gabriel Montpied and Jean Pellez stadiums and Arténium de Ceyrat. 10 min: Clermont Ferrand city center.